This item originally had a reserve of $2,300.00 however the client is very motivated to sell and is considering all bids. 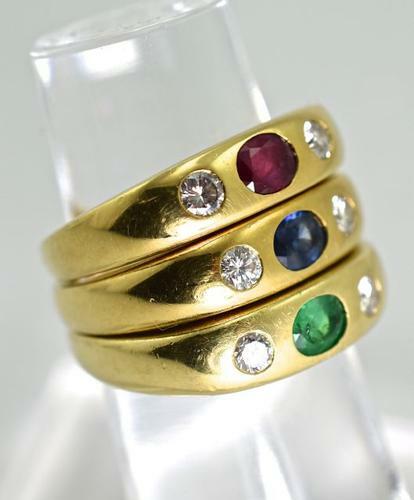 Lovely set of 3 18k yellow gold rings for stacking or to worn seperately. 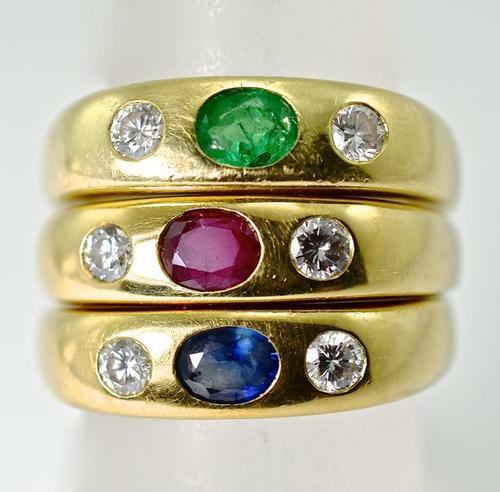 One features an emerald, one a ruby, and one a sapphire. 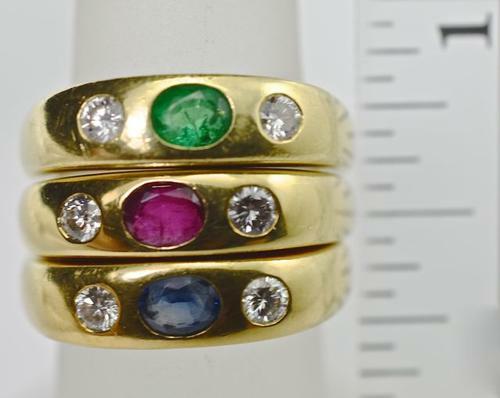 Each ring has 2 flush set diamonds of approximately 8 points each (mostly I color and SI clarity). 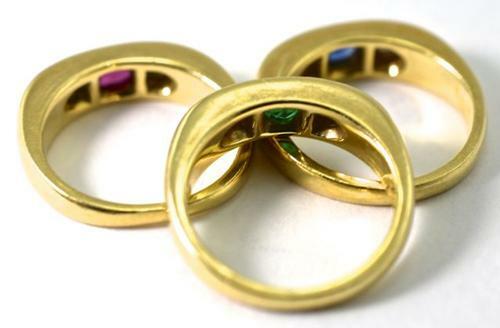 Together the three rings weigh 18.0 grams. DESCRIPTION NOTE: This item originally had a reserve of $2,300.00 however the client is very motivated to sell and is considering all bids.